Two weeks ago I read an article in a New York City newspaper, geared to teachers, written by a kindergarten teacher about the importance of Choice Time . That should have pleased me. For quite some time I’ve been an advocate of keeping play and exploration in the early childhood curriculum. Yet I found this piece to be disturbing. Why? First of all, the writer of this article states that the Common Core Standards are “developmentally appropriate and provide an in-depth, detailed guide for what must be mastered in kindergarten…” Once we outline a detailed guide for kindergarten mastery we are immediately off –base. As the authors of Developmentally Appropriate Practice write, educators of kindergarten children need to, “meet children where they are as individuals and as a group.” Micromanaging what all kindergarten children must master by the end of a school year is contradictory to what we know about how young children develop and about what we need to do to support their creative, social and intellectual development. I’m not implying that we should not have high standards for all children. We do not need to have a checklist of how, what and when children need to meet very specific academic benchmarks. Choice Time is not a time to give children tasks. It should be an opportunity for children to direct their own play and therefore, their own learning. 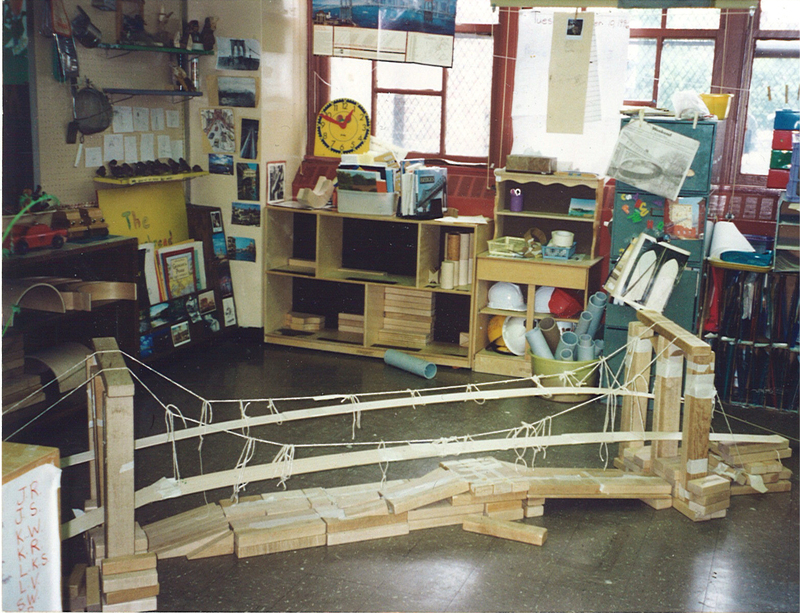 The teacher carefully sets up centers with materials that provoke investigations but it is the child who discovers ways of using the materials. When interest in a center wanes, then it opens up a few possibilities. It might be time to retire that center (at least for the time being.) Perhaps the teacher could present the children with her observations of how she has noticed a lack of interest in the center. The children might come up with ideas for “remodeling” that area to make it more interesting. They could brainstorm for different ways that the center could be used; what might take place at that activity? Perhaps at the Read-Along center the children might suggest having drawing paper so that they could draw pictures that the story brought to mind. The teacher might suggest adding blank tapes to the center so that children could tell and record stories for other children to hear. On the other hand, they might agree that the center is no longer interesting to them and suggest putting it away. 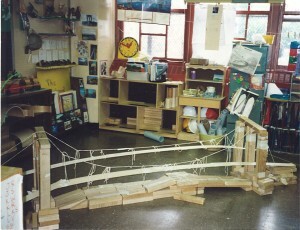 One year when my kindergarten class was in the midst of a long and exciting study of bridges I noticed that the bridge constructions were becoming more and more intricate, taking up all of the space in the block center. Abutting this area was our very under-utilized dramatic play center. I thought that it might make sense to close up the dramatic play area and extend the block center. I was so sure that the children would appreciate this change since they practically never went into dramatic play during this period. I shared my thoughts with the class and to my great surprise there was an uproar of dissent. Absolutely nobody wanted me to take away what we called “the pretend center”. One child suggested that we make it a smaller pretend center. I questioned whether there would be anything that they could do in a small pretend center but the children thought that it could be a little store. After two days of discussions, it was decided that we would open up a little bookstore and that we could make the block area a little bit bigger. Unexpectedly, we were now beginning a mini-inquiry study of bookstores! We visited a bookstore in the neighborhood, interviewed the workers and the bookstore owner, sketched and discussed the arrangement of the books in the store and stood outside the store observing, drawing and photographing how the store looked from the street. 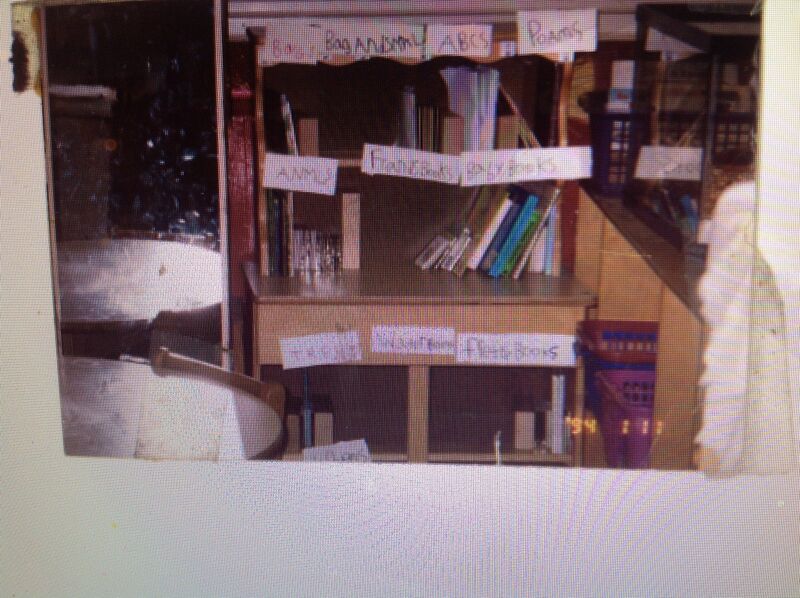 A few weeks were spent transforming the dramatic play area into a bookstore. Because it was a little bookstore, children who chose the writing center were busy writing little books. Our classroom library was searched for little books to add to the store collection. Children built an awning, made signs, constructed a cash register and made paper money, and wrote labels for the shelves, organizing the little books by subjects (just as they saw when they visited the neighborhood bookstore.) This exciting curricula detour lasted a few weeks and shows what can happen when children are challenged to consider and solve a classroom problem. Choice time is not a part of the kindergarten program because it is in service of meeting the Common Core Learning Standards. Choice Time is part of the kindergarten program because it is essential that children have opportunities to play, investigate, explore, socialize, collaborate, think out of the box, play with a box, create…. have fun! I so agree with you. I currently teach in a UPK classroom and have figured out ways to use the standards to justify what we do, but we follow the HighScope Curriculum. Our children have 30 minutes a day of play outside or in the gym. We have a 10 minute small group instruction time, book time and message time and work time. The job of children is to play, hence the label Work Time for Choice Time. Our inner city children play during Work Time and we play along side them. We offer them more academic choices but it is their choice and they almost always choose play. It is what is developmentally appropriate for children that age. What makes me shutter is that NYS is now pushing a Common Core Curriculum for PreK that is terrible. It was not written by anyone in early childhood. It is all nonfiction material and scripted, and it comes “complete with worksheets” so the children will master the skills and content. HELP! One of the many problems with the Common (Senseless ) Core learning standards is the need to control every breath a kindergarten child takes, and to falsely assume that we have something to do with what the child is learning at every given moment. Choice time (or the more subversive among us may actually call it PLAY TIME) is that time in the day when the children CHOOSE an activity and freely play independently and cooperatively with peers. In my kindergarten class, it is THE most important time of the day. The children would rather have choice time than go outside or go on trips. After a day of active playing on a field trip, they inevitably come back to our room and ask longingly, ” Can we play now?” What that time apparently means to my students is that they get to do something that THEY WANT to do. I am not even suggesting what they do, I am only providing the materials and the rules of engagement and the acceptable code of behavior. It is the one time in the day as a teacher, that I can sit back and watch how they process all they have learned, how they interact with each other, how they solve social issues. They simply to do not require active intervention from me. I suppose I could sit with the CCLS and jot down some of the hundreds of categories to PROVE that my students’ learning is ALIGNED…but frankly WHY would I do that and for WHOM? The biggest problem for me in all of this is the arrogance that we always determine what children should be learning when it is abundantly obvious when observing children at play that they are learning what THEY need to learn, no matter. Our son’s K classroom teacher wrote the article. May I note that my son has done so well in her capable hands. You say K students don’t need micromanaging or need motivation to become engaged. Well, mine certainly do. Not every child is able to play effectively. Mine couldn’t, and they are clearly very talented in other ways. I think that the writer of this article’s aspirations for children are awesome, but not necessarily realistic, when a large percentage of kids in our system are diagnosed as having “special needs” and many whose parents are not necessarily on board with that term are also not as capable as she suspects. While I agree that testing is way too high stakes in our current system, I do not feel that providing direction for children is ever a negative. Those that don’t need are usually not bothered by the additional structure. Having read the article I do not think that the author is condemning choice time as something that needs to be micromanaged in response to the core. I am confused as to why all the creativity is null and void just because a teacher is aware of the CCLS that are found in already existing activities. Through guided questions and your own examples of your centers and how you have allowed your students to manipulate them, is in itself aligned to the core. Rebbekah, I think that a good kindergarten program will naturally meet many of the Common Core Learning Standards. I don’t, however, think that Choice Time is the place to give children scripted activities. Perhaps the teacher could have a discussion with the children about the possibilities for a center, like the read-along center. She could say that one possibility is to write about the beginning, middle and end of the story (as described in the newspaper article) but also ask the children for other possibilities. It would be like creating a menu of possibilities that children might see as something ongoing. Someone might come up with some creative and original idea for what can be done at that center. I’m sure that the teacher who wrote the article is very enthusiastic and involved with her class. I wish that she wouldn’t feel the need to justify children’s play by being sure that activities are aligned with the Common Core. I’ve had many years of experience teaching kindergarten and I know that children have tremendous capacities. We really don’t have to manipulate their play and explorations so that they meet standards. It saddens me to see how much pressure teachers are under to be sure that children meet some artificial benchmarks created by people who have no real connection to how young children learn and develop. Teachers are stressed and that can only eventually lead to children who become stressed. I am really pleased that your son is doing well in his kindergarten class. My intention is not to imply that the teacher has a “hands off” policy when working with children. I do, however, think that there are ways to guide children in their play and explorations without providing worksheets and explicit tasks for their centers. You make a lot of excellent points.. However, I find your criticism condescending as you are confrontational with the writer/teacher that you keep referring to. Instead of using an authoritative approach, you should state what you would do and not continually refer to what the writer/teacher said. More people would be interested in your insights if you came across as a colleague with experience rather than an expert. Good point Samantha. I guess I was just so upset to read the article. At first I was excited to see an article devoted to Choice Time until I read it. I put it aside for a few days. Then I actually just threw it away thinking I would just not deal with it at all. However my neighbor, who is a teacher, brought a copy of the paper over for me to see because he thought that I would take issue with it. That’s when I decided to write something. As a teacher I don’t know if it’s really possible to be an “expert”. There’s always something new and exciting to learn. I’m working as a consultant and there’s so many times that I want to go back to my own room and try out some wonderful lesson that I observe. So I’m sorry that I came off that way in this post and will try to be very careful of that in future posts. I guess I had a button pushed in this instance. I really agree with you, of course, Renee. Choice Time is essential. What I think many teachers and administrators in programs for young children don’t realize is that giving children choices actually minimizes the classroom management because children willingly help with management, and want to be safe and have as much time as they can for this. Also, choice time, to be meaningful and rich in learning needs to be between 45 minutes and 2 hours or more long, the longer the better. So much research shows that if it is longer and children feel they have enough of it, they will choose to try new things and more learning happens. I am happy to see that 1st and 2nd grade now have literacy centers, which is a start, but when teachers assign children to centers, it defeats much of the purpose. Even then, children love centers. Choice time is a lot of work if teachers do it well. That is part of the problem. It is easier to just make everybody do the same thing together to make sure you “cover” the curriculum. But, as Lillian Katz says, covering the curriculum does not mean that children learn. Centers that are set up mindfully and intentionally with tools and accessories that fit learning goals provide much more learning. I wrote and article called “The Science of Water Play” that includes dozens of ways to set up the water table to support the learning of 42 different science concepts. I add more every time I teach about it. Teachers think of more. I’m sure there are many more and that is only one center. The learning from Choice Time is unlimited. Independent schools for the rich know this. look at the new Avenues School. Why do educators think that poor and middle class children in public schools cannot benefit from it? I am hoping that the pendulum will swing back soon, at least to some of the progressive ideas. They work, for goodness sakes, when done well. In reading these interchanges above it strikes me that perhaps the discrepancy is more around the actual definition of Choice Time. Renee, yours is a totally PURE sense of Choice where children are trusted to make all of their own decisions. While others may be using this terminology it seems to me that they are creating and talking about a more traditional “learning center” where there are tasks to be accomplished before a student can move on to the next one. I have done both in my classroom and yet it is the purest sense of Choice that allows for self-discovery that automatically allows each child to develop in their proximal zone. It is an amazing thing to watch and even more fun to talk to kids about their discoveries. Filling out a beginning, middle and end propose more of a sense of “teacher” purpose (and extends to the CCSS purpose) and ultimately takes the choice away from the child. Again, I have used both Choice Time and more directed learning centers in my classroom. Ultimately they are 2 very different things. It has been years since I was in a kindergarten classroom, but I remember quite well how exciting it was to see what the kids did at choice time; it was quite obvious that the work of a 5 year old is to play. I’m not sure all teachers trust their students to be naturally avid learners, but watch them at a well set up choice time area and their excitement and resourcefulness is infectious. Play and imagination are good for all people of all ages, and can’t be taught, only encouraged. Two of the books that relate to your ideas about what we value in early childhood education are by Rebecca Solnit: “A Field Guide to Getting Lost” and “Wanderlust: A History of Walking.” These books are wonderful meditations on the joy of discovery when you are not directed to a specific goal or just don’t know what you are looking for. Of course the implication is that you need to be open to the unexpected, the surprising, and the unfamiliar and if you are a child, you need to have a guide in this realm of discovery (like you) who will allow a child to give voice to his or her intuitions and sometimes unconscious desires. Two of the books that relate to your ideas about what we value in Early Childhood Education are by Rebecca Solnit: “A Field Guide to Getting Lost” and “Wanderlust: A History of Walking.” These books are wonderful meditations on the joy of discovery when you are not directed to a specific goal or just don’t know what you are looking for. A mutual friend of ours, Kathy Collins, referred your website to me. I have been browsing about looking at the pictures of children engaged in rich learning ‘investigations’, reading affirming posts on the importance of preserving choice/play in the Kindergarten classroom and felt tears spring to my eyes as I read about the high importance you place on building a classroom environment/community that is warm and welcoming to all who enter. It brings me back to 1997 when I was teaching a half-day Kindergarten class in a portable classroom due to overcrowding at our school. It was a magical time. I was fortunate enough to have fourteen curious five and six year olds to play and explore with plus a para-professional at our side for ongoing support. 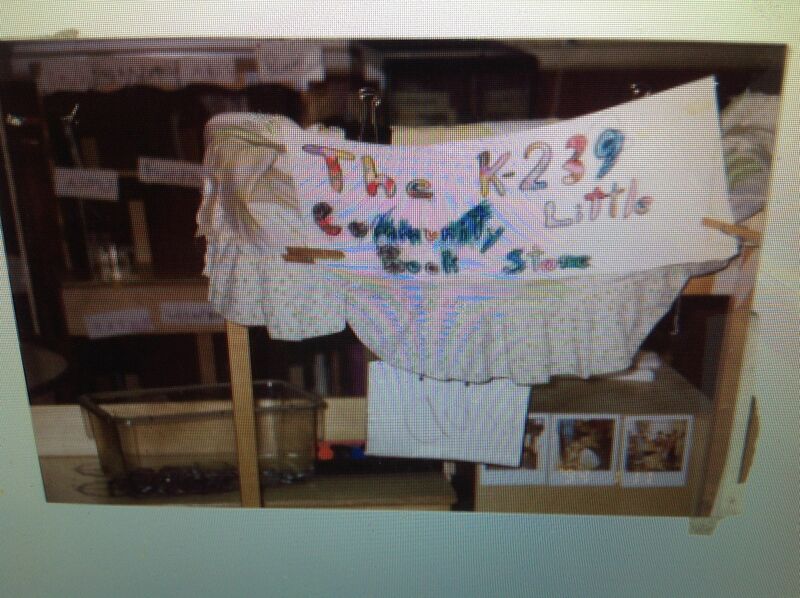 Building a caring class community and learning through inquiry and play was the center of our work. I am now in my 7th year of working as a Reading Specialist/Literacy Coach at the same school I once taught Kindergarten and second grade. (This is my 17th year at the school and 20 plus years of teaching.) Things have changed quite a bit since I taught that very first Kindergarten class. Which is the purpose of this email to you. I have been asked to co-teach/coach the Kindergarten team with implementing literacy centers and to help them adapt their curriculum to meet the needs of their students following the Calkins units of study in reading and narrative writing. Again, as I look through your work I am drawn to your passion and creativity in teaching and learning with young children. I would deeply appreciate any direction you could offer me as I embark upon this next opportunity in my teaching career. My hope is to help these classrooms to develop authentic, engaging and child-centered learning experiences based on their interests while integrating rich literacy opportunities across all content areas. Most of all I want to believe that the role play area, the block center, the sand table, the water table, the writing center, the science center (and centers we create out of our own interests) are still essential areas of the Kindergarten classroom! I am thrilled to return to the Kindergarten classroom, it has always been my passion, yet, I fear, while there is much to be said about the importance of setting our expectations high and holding ourselves and students accountable, I fear we are at risk for misinterpreting the CCSS and robing children of their childhood. So….when will your book on centers be available?? In the meantime, could you direct me to some resources that have ideas for creating rich and engaging literacy learning centers for young children? Of, course, your website is a resource I will now use regularly. Thanks for listening. I would love the opportunity to meet you some day, if you are ever in the area visiting Kathy. Your note brought sad tears to my eyes. What can you tell teachers? First, I might speak with them about the centers and rename that part of the day. Perhaps you could discuss the idea of inquiry with the teachers. How might they define it? How has it been used historically? Then, after that discussion, suggest that they call the centers “Inquiry Centers.” That, right away, moves them away from the task limitations of literacy centers and the centers become explorative. How is literacy woven into the inquiry centers? Perhaps, after a few weeks of just exploring with blocks, the children could be directed towards collaborative work by presenting them with a large planning sheet in the center. They would draw their plans first (maybe labeling important areas if theyre ready for that) and then building. If their structure ends up looking different, give them a red crayon so that they can look carefully at their block structure to revise the drawing. Make connections between their revising and the revisions in the writing workshop. At a water table, after a few weeks of free exploring, children might follow a recipe to make bubbles. they could create wands with string, straws and pipe cleaners. Then they might be challenged to make connections between the pipe cleaners and the bubbles they created. They could record this in a “bubble book” left near the center. They might even leave their bubble book in a poetry center to inspire some bubble poems. Do you get the idea? I’m in Paris on vacation now and my mind is perhaps not as clear but I’ll keep thinking about this and get back to you with more thoughts. You could even remind me by responding to these suggestions. How would they “fly” at your school? Oh, and of course the teacher would have to discuss the meaning of inquiry with the children before creating inquiry centers. Sorry to be so brief. As to books, there’s not much out there but when I get back to New York I’ll look through my library and send you a list of what I have.